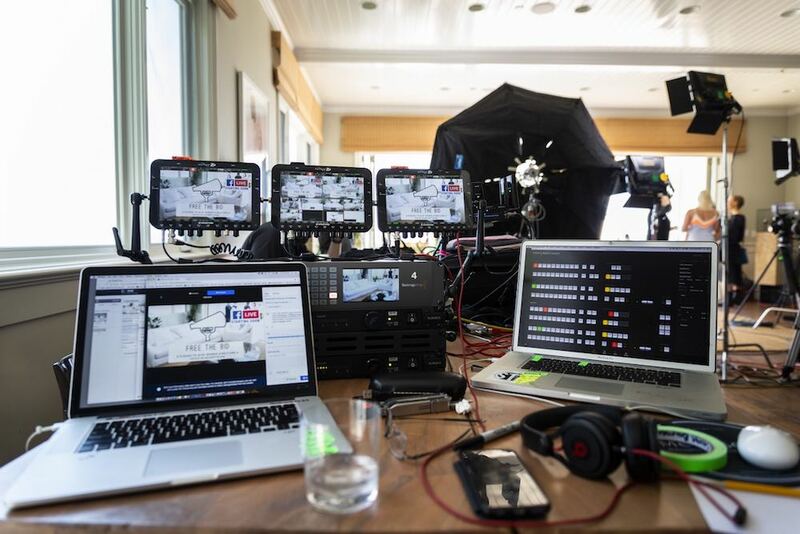 As the Free The Bid team experienced first-hand at our Innovation gathering in Malibu this June, Washington Square Films director Carrie Stett is a master of the art of the livestream. Carrie’s multi-cam live direction was key to the successful documentation of our discussion between four women in tech who are commissioning work that pushes the boundaries of the Innovation space. The resulting Facebook Live stream is an incredible informational resource that our Facebook audience can watch over and over again. This ain’t Carrie’s first time at the livestream rodeo – in addition to her work as a film director, her livestream work has been instrumental in pioneering the medium! Her 20+ multi camera live streams, for clients including Toyota, Kleenex, ESPN, Walgreens, Nickelodeon, have racked up millions of views. 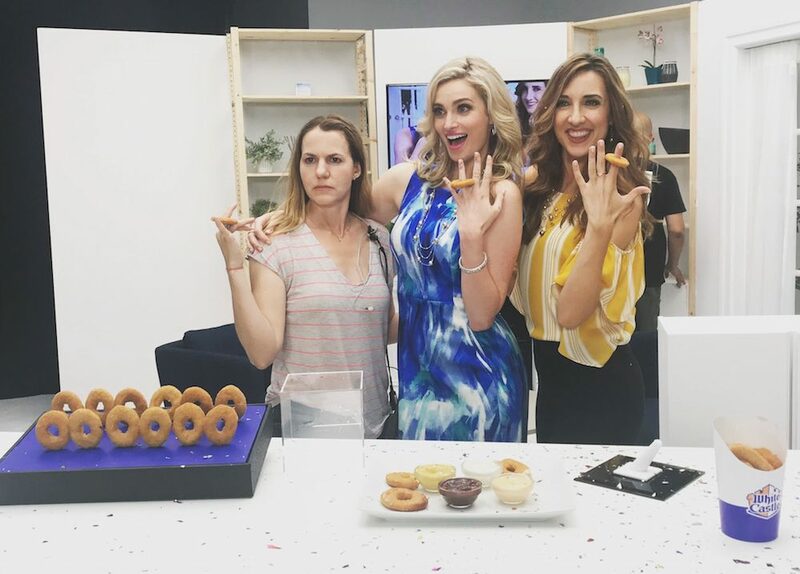 Most recently, Carrie directed a Home Shopping Network-style Facebook Live stream for White Castle, featuring two bubbly improv hosts waxing poetic about Chicken Rings with the same enthusiasm usually reserved for designer accessories. The stream made use of the live interactivity by incorporating user comments into the action, and even included a live proposal! Carrie Stett is originally from Louisiana and likes to insert “y’all” into every sentence. Carrie was selected for SHOOT Magazine’s 2017 New Directors Showcase. She is a Director and Writer with the ability to find the heart of a story and tell it in a way that resonates with audiences. Her work on the Kleenex Cares campaign, which resulted in numerous viral videos and 120+ million organic views, was shortlisted for a 2016 Cannes Lion and created “Unlikely Best Friends,” which was one of AdWeek’s top viral videos of 2015 and Winner of the 2015 ANA Multicultural Award. We spoke with Carrie about getting her start in live sports broadcasting, the thrill of seeing true emotion unfold organically in real-time, and fighting against the misconception that livestream direction consists of shaky iPhone footage. First and foremost, how did you begin your career as a director? What were some of the earliest influences that inspired you to pursue film? I was an avid reader as a kid, and I loved the way a good story could take you on a journey. Movies had that same effect for me, and I remember as a kid when I saw The Color Purple film, which was a book I had read, I was so deeply moved by it that I knew I wanted to tell stories like that. What was the first example of livestreaming you came across? What were your initial thoughts about it as a medium? What hooked you into working within the format? In the past I had worked on some live TV shows, including live sports broadcasts of sporting events, specifically the Grand Slams of tennis — Wimbledon, U.S. Open, etc. Being live on national (and sometimes international) television was extremely pressure-filled, but I thought it was exciting. While doing the Kleenex Cares campaign, we worked directly with Facebook’s Creative Shop. It was a 30+ video campaign and we had a long string of successful viral videos, so Facebook suggested we try something different and do our last video as a Facebook Live stream. Kleenex was trusting enough to agree to it, and we did. One day in Atlanta spreading care around the city. We went live from 4 different locations and did things like getting some homeless men fitted for new suits so they could go on job interviews and bringing puppies to an assisted living home for seniors. 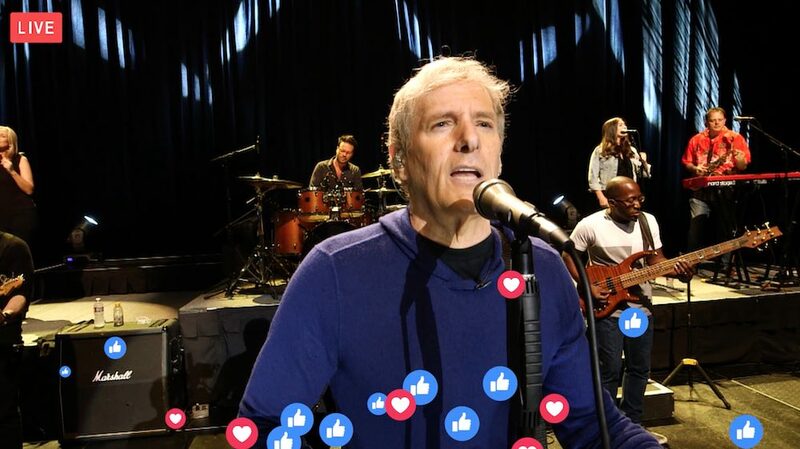 At that time, Facebook Live was brand new, and we overcame a lot of technical challenges, but seeing real emotion happening LIVE was incredible. The way the old folks’ faces lit up, for example, when they saw the puppies was so special. As a director, I’m always trying to find the authenticity in a scene, and this was the ultimate. I was hooked and still am! How did you build your skill sets as a livestream director? What resources did you use to hone your craft early on? Did you have any early mentors, or did you find yourself pioneering the space? I already had the skill set because I had experience in live TV. Also prior to that, I had produced live events, so this was such a natural fit for me. There were no mentors – this has been a case of pioneering all the way. It’s a new medium and I don’t think there’s a right or wrong way to do it. It’s about experimenting. There is also a huge technical component to going live online with multiple cameras, so I have had to learn that part too, and even this has been a lot of trial and error along the way. Tell us about some of your favorite live experiences that you’ve had the opportunity to work on – what were they like to work on? Any particular anecdotes from the day, or noteworthy reactions from the public afterwards? 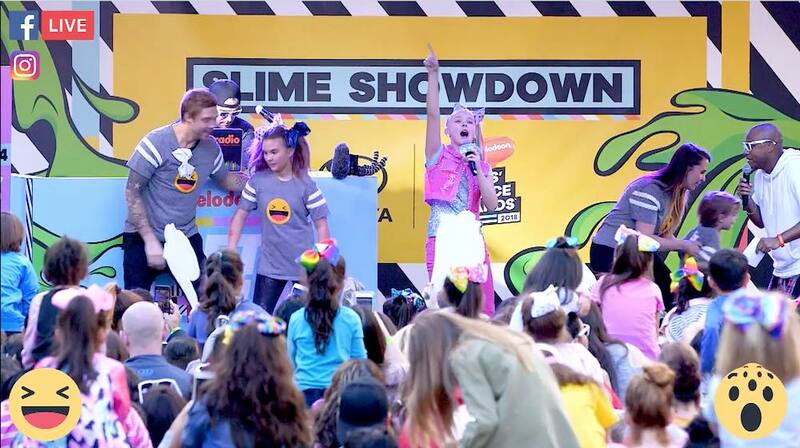 The Kleenex livestream was one of my favorites because it was about doing acts of kindness for deserving people. I love capturing this kind of moment. One of my other favorites was for Mitú, which was a live tasting challenge of some adventurous traditional Latin foods that the hosts might like to see on the menu at baseball games. Stuff like fried grasshoppers and brain tacos. It was hilarious. 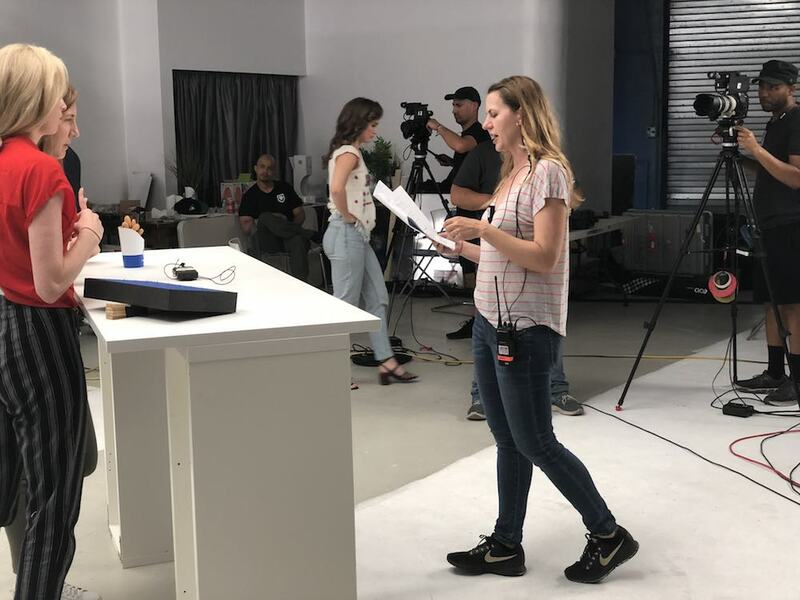 But I’d say my favorite is the recent White Castle Facebook Live I did, where we had two improv actors doing a mock live shopping channel segment. We were selling chicken rings as if they were actual jewelry. The vibe on set was exciting. It was like live theater and it was hilarious. How do you prep for a livestream, typically? Talk us through the process you go through to get ready to shoot. Prep depends on the creative. But typically I do a rehearsal with the talent beforehand, again because there are no second takes. Once you’re live you’re LIVE! That’s the thrill and the curse, ha. So prepping the talent is really important for me. 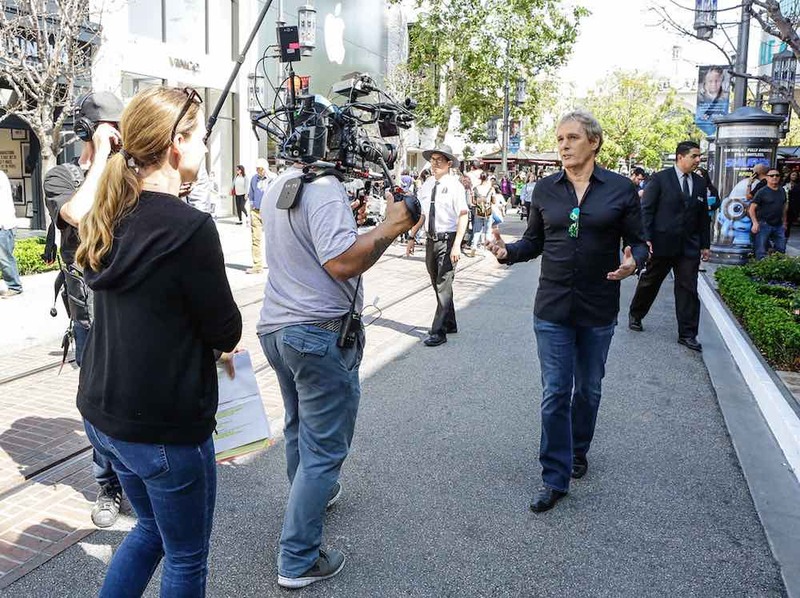 Does livestream directing draw on different skill sets than film directing? How does working in both fields inform your vision as a director? I think both live and film directing are the same skill sets, but they do diverge. With film directing, you have time to make each shot perfect, tweak the look and performance and get lots of takes. With live, you only get one take. You have to embrace the moment and improvise from there. When we’re live, I don’t see mistakes, I see opportunities. I don’t want it to feel like broadcast TV; I want to break all the rules. But that’s just me. Ha! What possibilities and benefits does the format offer clients? What are the most enjoyable aspects of the work from your perspective? A huge part of what I do on livestreams is work with clients on developing the creative and building interactivity into it. For the first time, brands and storytellers have the ability to interact directly with consumers. We’ve cut out the middle man, and that is extremely powerful. I think brands are starting to wake up to the fact that advertising dollars spent on this medium have the potential to build an enormous fan base that they can actually talk to, rather than talk “at” with a traditional TV ad. I get really excited about this because I see it as the future. What are some common misconceptions about livestreaming? 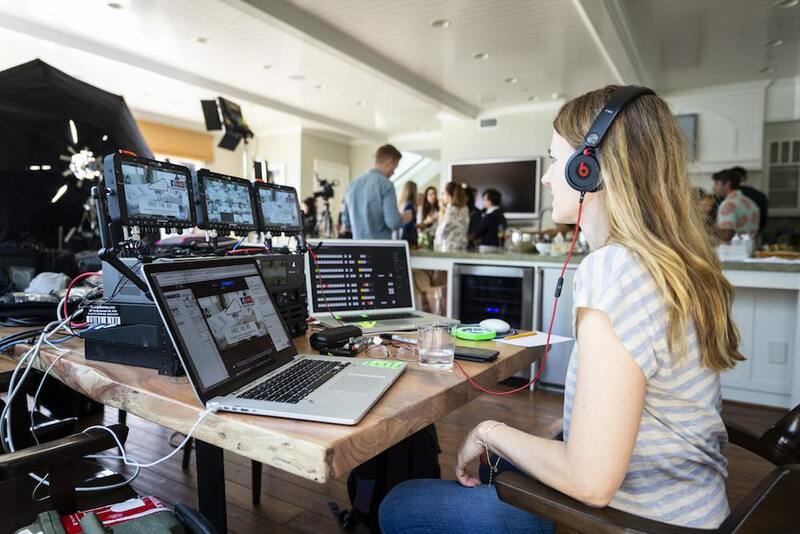 Are there any common mistakes that marketers make when they first decide that they’d like to integrate livestreaming into their social strategy? A common misconception is that I’m going out there and filming with an iPhone. People often associate live streaming with this look. But what I do is film with multiple cameras, I’ve done from 2 to 10 cameras, live switched, with beautiful lighting. Every time we do a stream, people are amazed at how good it looks. Do you think the field offers opportunities for women to carve out a name for themselves? I think the field is still emerging. I didn’t even know it was a field yet, LOL. But yes, it could be. It’s not traditional, so we have to go into it knowing that. What kinds of projects are you interested in doing in the future? I still do traditional work, and I definitely want to keep doing both. For me, live streaming is one component of filmmaking that I enjoy and will continue to pioneer in this space. I want to push the boundaries and keep experimenting with what works in this medium. I’m also developing original concepts for livestreaming and traditional series. In terms of storytelling, I love being able to do both comedy and the more heartfelt emotional work, as I think they go hand in hand. I’d love to direct episodic work and a feature too. So many ideas, so little time! What are some pieces of advice that you’d give to young directors who are interested in working in livestreaming? There’s no real path with an emerging field like this, but having production experience will go a long way. Work hard. Go out and make something! All photos from Free The Bid’s Innovation Malibu event (photo #1 and #6) taken by Lauren Crew. Thanks again to technical director George Barnes and the rest of the live team who helped with Free The Bid’s Innovation Malibu event.